Water Softener Orlando FL | Why Install One? Why Install a Water Softener in Your Home in Orlando, FL? If you are tired of dealing with the ill effects of hard water in your home in Orlando, Florida, then install a water softener. 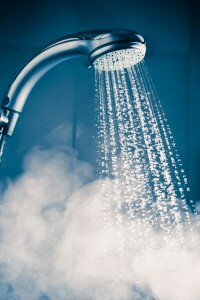 Water softeners utilize a time-tested process called ion exchange to remove the minerals that are responsible for giving hard water its bad reputation. The two most common hardness minerals – calcium (Ca) and magnesium (Mg) – are directly responsible for causing a wide variety of hard water problems, such as dry skin, lifeless hair, scratchy clothing fibers, limescale accumulation inside of pipes, and the premature breakdown of water heaters, dishwashers, coffee makers, and other water-using appliances. By removing these minerals, a water softener will provide your family water throughout the whole house that doesn’t give rise to any these annoying nuisances. Though it’s not necessarily more beneficial for your health, soft water simply is just more compatible with everyday household activities. Semi-automatic – This type of water softening system requires the homeowner to initiate the regeneration cycle whenever more soft water is needed. Automatic – Fully automatic water softeners come equipped with a timer that initiates regeneration at preset time intervals, typically during periods of low water usage, such as between midnight and 5 a.m.
Demand-initiated regeneration (DIR) – A water softener featuring DIR technology handles regeneration automatically, either in response to actual water usage in the home or changes in the resin bed’s electrical conductivity. Off-site regeneration – Some water softeners have a resin tank that can be removed and recharged at an off-site location. For more information about the benefits of water softening and help with selecting the right kind of water softener for your home, please contact your local authorized RainSoft dealer in Orlando, FL.